Preheat your Yoder Smokers YS640 to 450ºF. 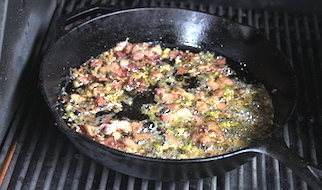 Place a Lodge Logic 12” Cast Iron Skillet in the cooker to preheat. Add the olive oil. 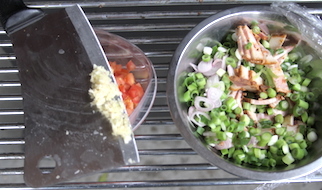 Once the olive oil is hot add the bacon green onions, shallots and Code 3 Spices Sea Dog Cajun Rub, and cook, stirring occasionally, until the ham is crisp and the shallots have softened, about 10 minutes. 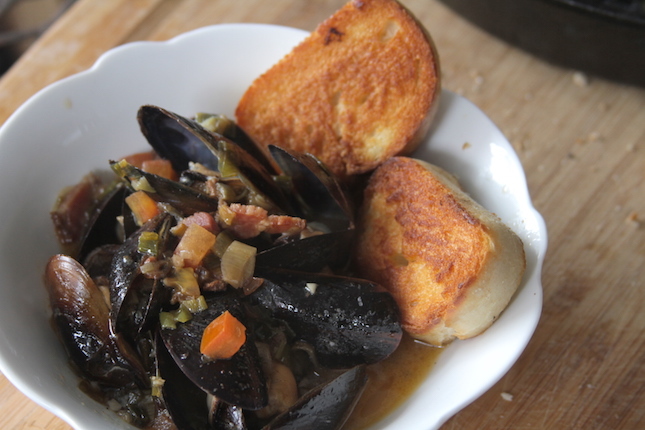 Add the garlic, cook for one minute, then add the mussels and half of the beer and cook, covered, until the mussels begin to open, about 2 minutes. Uncover and add the butter and tomatoes. 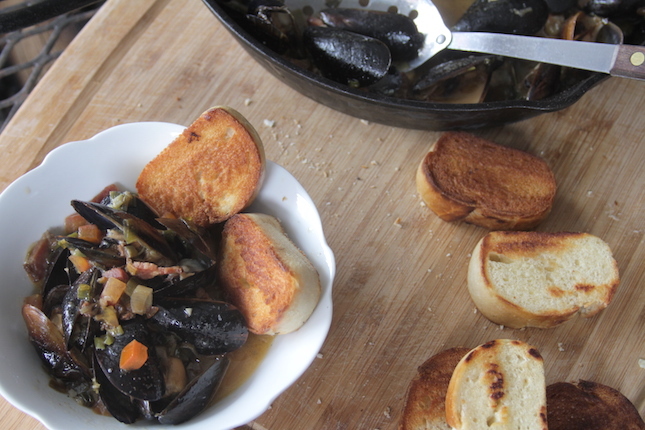 Continue cooking, stirring, until the butter has melted and the mussels have opened completely, a few minutes more. Taste sauce and season with salt as needed. Serve with the baguette.